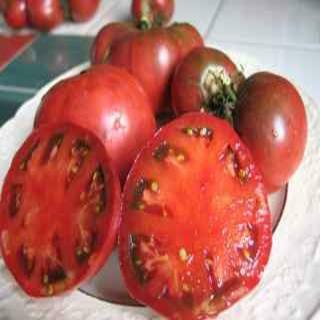 These tomato seeds are an abundant producer of superb flavored 8-14 ounce dark pink fruits with gray-purple shoulders. Heirloom Seed Packet. Wacky name for a wonderful black variety tomato. I had so many requests for this one and was finally able to grow it out and offer it this year. The exact history of J. D.'s is not known for certain, but it is believed to be a stabilized selection from a cross between Pink Brandywine and an unknown black from a J. D. someone in Conroe, Texas. An abundant producer of superb flavored 8-14 ounce dark pink fruits with gray-purple shoulders will have your taste buds do a happy dance. My yields in 2010 seemed to be quite good as well.